A new virus is ravaging the planet, infecting animals and humans at a worrying rate; we welcome you to BioCore, a medical research facility tasked with managing this crisis and finding an immunisation to protect our planet. 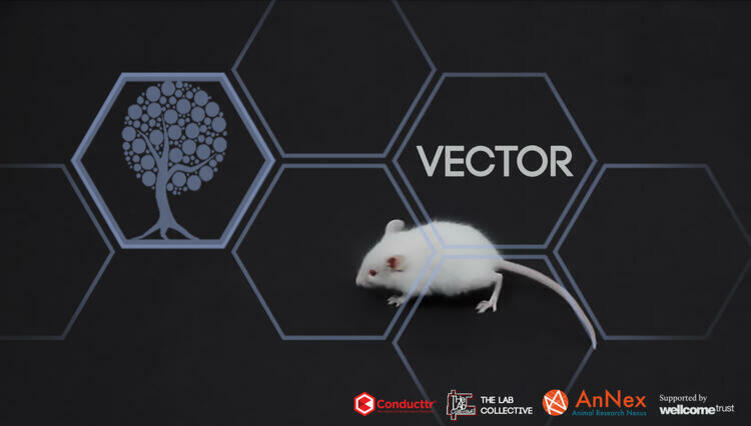 Vector is an interactive experience, which uses elements of performance, game and integrated technology to open up dialogue and shed light on the ethics that society faces when using animals as part of medical research. Vector is a public engagement project that has been created by the Animal Research Nexus, in partnership with interactive and immersive performance makers The Lab Collective. This project is funded by the Wellcome Trust, and generously supported by Mixed Reality Platform, Conducttr.